Originally purchased in a minuscule container at Whole Foods for a whopping $7, I decided to make this myself the next time I served Jamaican Jerk Chicken Tacos. It literally took me 5 minutes to put together, and for the same amount of money, I made six times the amount of salsa which was happily scarfed down by my in-laws. 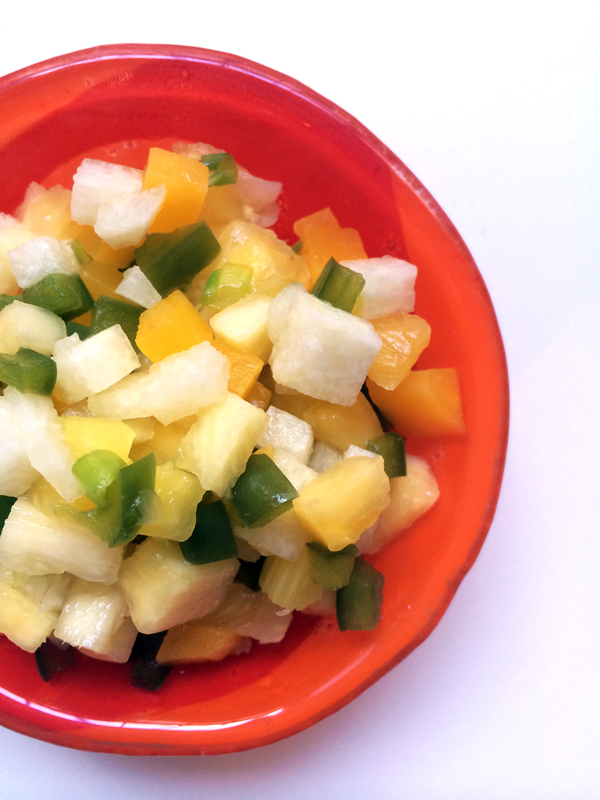 Dice up the pineapple, mango, green onions, jicama, and bell pepper. Add to a bowl with salt and stir. Add splash of juice and stir. Let sit for at least 30 minutes for flavors to incorporate.